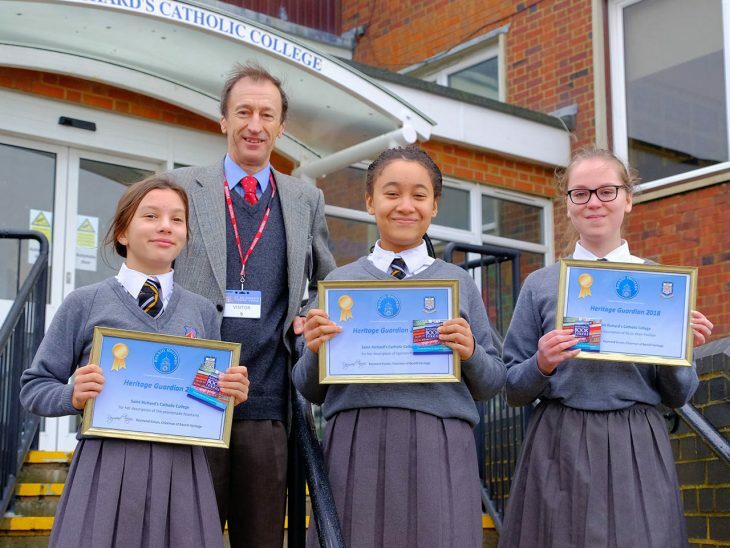 Grace King, Amy Bossom and Marnie Horan of St. Richard’s Catholic High School have been recognised as ‘Heritage Guardians’ in Bexhill Heritage’s competition to find the town’s favourite building or public open space. School pupils were asked to identify their favourite place, and to explain their choice using pictures and text. Grace chose the De La Warr Pavilion, while Amy selected Egerton Park and Marnie nominated the promenade fountains. Raymond Konyn, Chair of Bexhill Heritage, said, “Our judges were very impressed with the quality of entries for our first ‘Favourite Building’ competition. All three winners explained the importance of heritage buildings for establishing a sense of place and encouraging civic pride. They showed real commitment to the preservation and care of Bexhill’s fine buildings and open spaces. This augers very well for Bexhill’s future”. Claire Akrasi, teacher of geography at St. Richard’s said, “I am delighted that our pupils have taken such a keen interest in their local environment. 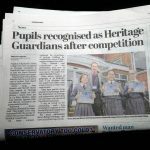 They have gained a huge amount of knowledge about the importance of heritage and conservation which they can now share with the rest of the school community. I am so proud of the outstanding work they produced in response to this competition and congratulate them for their success”. 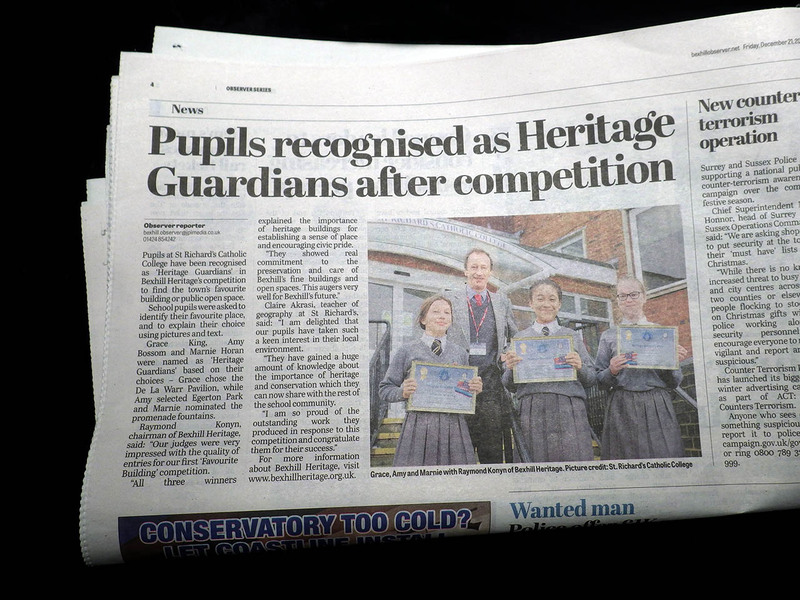 Published on Friday 21st December 2018 by the Bexhill Observer, page 4.